A drooping nose, known as nasal ptosis, is one of the problems most frequently addressed through rhinoplasty. In many instances, patients report dissatisfaction with the appearance of their nose without being aware that a drooping nasal tip is the cause of their dissatisfaction. Whether a patient is aware of nasal ptosis or not, nearly all rhinoplasties involve techniques to correct or maintain appropriate tip rotation. 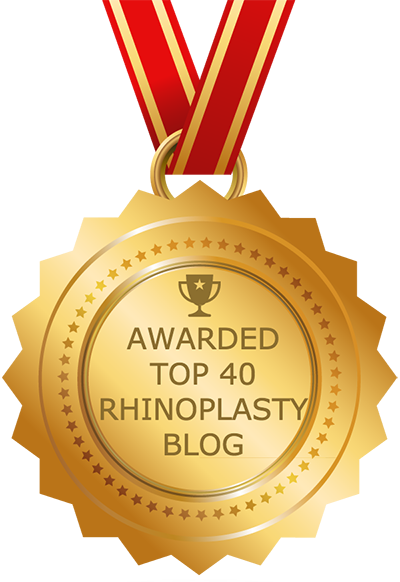 Successful manipulation of the nasal tip is one of the most challenging aspects of rhinoplasty, requiring that the surgeon performing the procedure have great skill and experience in order to achieve a satisfactory result. In some cases, a drooping nose is very easy to spot. The tip may hang below the nostrils, causing the nose to appear elongated. In other cases, however, it may not be immediately apparent that a drooping nose is the cause of dissatisfaction. When a patient complains of having a very long or hooked nose, nasal ptosis is the likely culprit. Sometimes patients are not sure what they don’t like about their nose – they are simply aware that something is not right and that their overall appearance is suffering as a result. A drooping nose may also negatively impact a patient’s ability to breathe. This occurs when the nasal tip droops dramatically, obstructing airflow through the nostrils and into the nasal passageways. This type of breathing problem can be addressed by correcting nasal ptosis. When a plastic surgeon evaluates a patient for plastic surgery, he or she takes into account many aspects of the nasal and facial structures. Of these, the shape and rotation of the nasal tip are one of the most important aspects to be considered. The nasolabial angle: this is the angle that is formed where the top of the lip and the base of the nostril meet. In women, the aesthetic ideal for the nasolabial angle is defined by a range of 100 – 110°, while in men the ideal range is between 90 and 100°. Angles outside of this range indicate nasal ptosis. Angle between the Frankfort plane and nostril rim: this angle is measured by determining the angle that is formed between the nostril rim axis and the Frankfort plane (the plane that crosses the face between the nasal spine and the ear canal). The ideal measurement for this angle is 0 – 30° in women and 0 – 15° in men. In order to obtain these measurements, the plastic surgeon will often photograph the patient’s face at multiple angles. While these measurements are helpful in diagnosing a drooping nose, the surgeon must also take other factors into consideration, such as the patient’s height and shape of their face. There are many causes of nasal ptosis and the techniques used during rhinoplasty must take the cause into consideration in order for the procedure to be successful. Natural structure of the nose: some people are born with a nose that does not present with an idea nasal tip rotation. In other cases, patients are born with a congenital deformity that causes excessive droopiness. Nasal trauma: injuries from sports or an accident can result in a drooping nose. Primary rhinoplasty: a poorly performed primary rhinoplasty can result in nasal ptosis. This can occur when the plastic surgeon does not take the shape and rotation of the nasal tip into consideration or when the surgery is performed inadequately, producing weakness that results in a drooping tip. Age: many older patients present with a drooping nose. With age, the nose naturally begins to elongate due to the effects of gravity. Combined with a loss of bone mass and collagen, the nose may begin to droop. In some cases, older patients seek rhinoplasty to correct a breathing problem due to a drooping nose, rather than to correct a cosmetic issue. There are a number of techniques that can be utilized to correct nasal ptosis. The techniques chosen by the plastic surgeon will depend upon the cause of the drooping nose, the patient’s unique nasal anatomy, and the result that is desired. In general, consideration must be given to how the nasal tip will be supported after the revisions are made. Without support, the correct angles cannot be achieved and the nose will begin to droop once again. In certain cases, rhinoplasty can be performed only on the lower third of the nose, commonly referred to as nasal tip rhinoplasty. In other cases, work must be done on upper parts of the nose to achieve the desired results.